When Belleayre announced the opening of their new glade “Dreamcatcher” this week, I knew that I had to get back up there to check it out. Despite Belle’s reputation as a more family oriented mountain, they’ve added quite a few expert glades in recently and with the deepest February base in memory, I was very curious to see how the mountain was skiing. The marketing had been a siren call to more people than just myself; I had never seen the lot so full, even with an early arrival. But access was actually pretty easy, and I soon realized that a majority of the skiers must have been in the lodge booting up, as empty chairs were still heading skyward on the ‘Ol Reliable, #7. 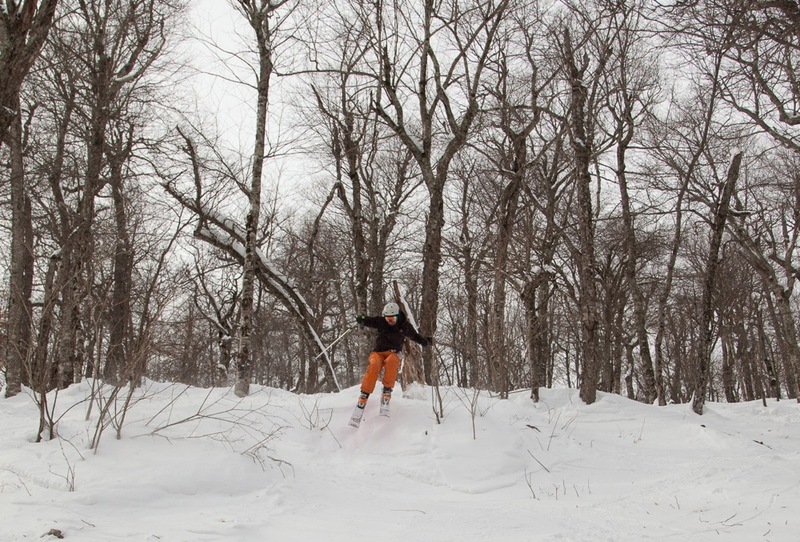 In fact, lines were so short and the snow so good on the main runs, that I forgot about my original intent. We lapped Wanatuska and Mohawk before hiking out a few times to ski Cathedral Glen, an effort that is always rewarded. The weather in the morning was partly cloudy but almost mild at 15 degrees. It felt great after the last month in the deep freezer, and we were savoring it while it lasted. What was forecast as a few pleasant inches of snow arriving in the afternoon, came in with a vengeance around lunchtime. Gusts of wind were powerful enough to make a primitive, Ullr-worshipper like me believe that I must have done something to deserve this. Perhaps it was neglecting to ski the new glade? We hurried down Esopus to catch a ride on the Tomahawk, and skied right on. At the top the snow was coming down at a ferocious clip and it was clear the wind was here to stay. We quickly dropped into Dreamcatcher, which lived up to its expert status especially at the top. Long lines of nicely spaced hardwoods greeted us on a leg-burning descent, warming our cores and shielding us from the outside world. Unfortunately, a gust of 70mph had exceed the operating limits of the Tomahawk and it was shut down. We warmed up inside and then took a few more laps on the SuperChief. The wind had carried with it a storm that was filling in our tracks each run, dropping a couple inches on its way to the predicted half-foot. Every run, a change I could believe in. I look forward to checking out the new glade. Is there enough cover for a run down Highmount next weekend? 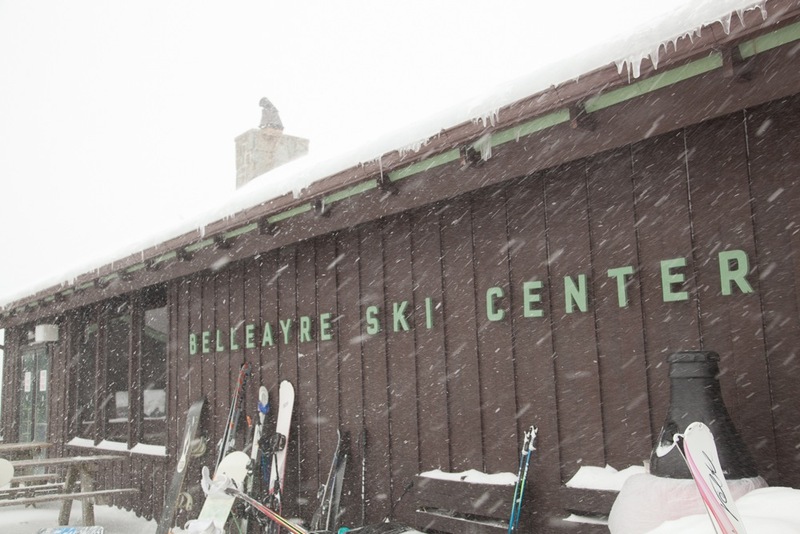 I skied Gore this past Sat and Belleayre Sunday. Belleayre was in way better shape. 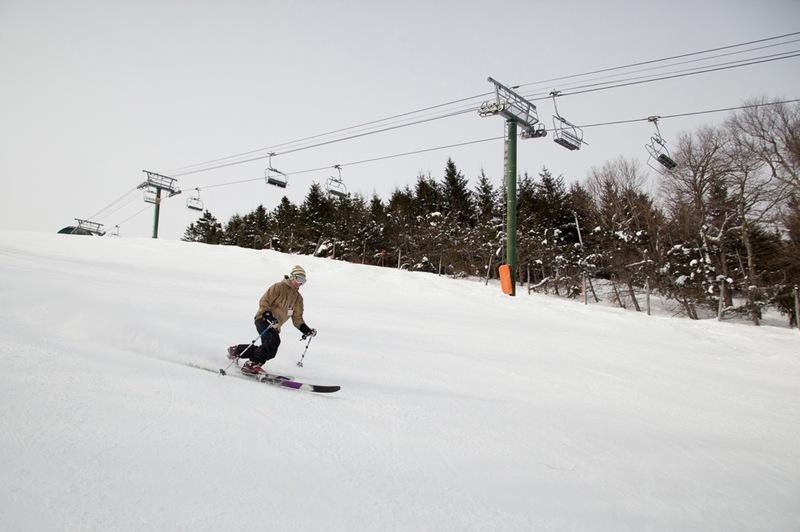 The wind over the past week blew the snow off the trails at gore. Bumps were great at Belle too. Overall the whole place is skiing great. James – Plenty of snow but Highmount is brambles central at this point. I’d rather be in old-growth forest than making 2 ft turns in a deer path, especially if I’m hiking. Jamie – That was my experience as well, weekend over weekend. For whatever reason Gore really seemed stripped bare last Monday. It’s odd because Gore has every aspect, not just one. The winds have been crazy lately though. Well said my friend! Got a chance to check out the new glade last week and I must say they did a fantastic job. Probably my new favorite marked trail. James last I checked there was plenty of snow in the woods for whatever you had in mind. Its funny how high winds can sometimes make things better…I always thought they blew fresh snow away as was your experience at Gore. 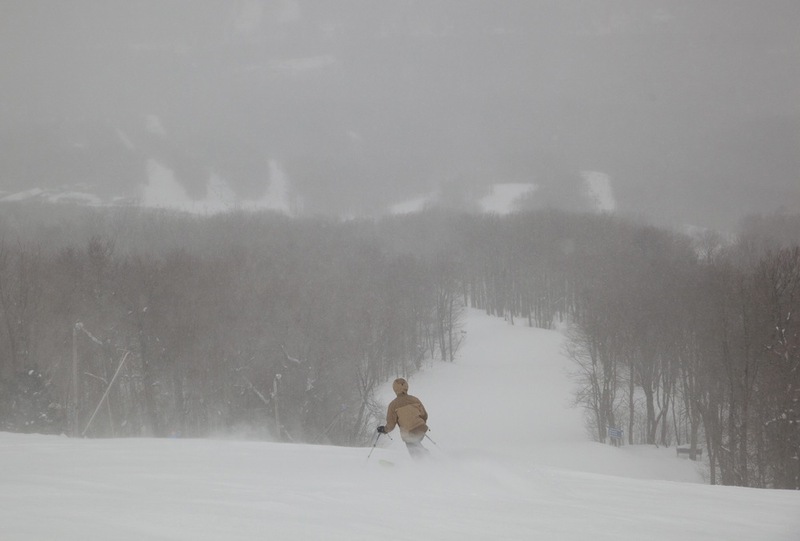 But I have had a couple experiences now where it can continually blow snow in a good way, smoothing over the chop and creating a very consistent base somewhere between powder and packed powder. I was at Plattekill the day you were at Belleayre and there too it was stellar. Hello, I won 2 tickets to Belleayre that state “Good for a 1 Day Ticket”. The tickets are good thru April 2015. I know that I will not be able to use these tickets & would like to give them away to someone who will be able to use it. If you reply to this comment with your e-mail address, we can figure out how I could mail these to you. Thanx! Hi, I’d love to get those Belleayre tickets! Please email me and we’ll figure something out. Angel_eyes814 at yahoo . com thanks!